Home/Blog, Document Management, Document Scanning, Online data backup/Do you remember when? Can you remember how much simpler things were before technology took over? Before everyone worked at a computer? Well simpler in one way but technology has streamlined much of our lives particularly in business so that everything is simpler and the pace is faster. Before computers when accessing documents you needed to physically leave your desk to retrieve things â€“ company reports, invoices, staff personnel files â€“ from a locked filing cabinet. 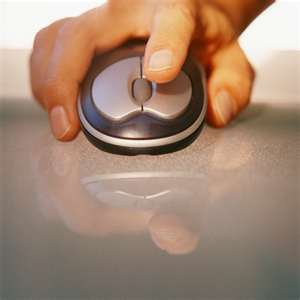 Today life is much easier; at just the click of a mouse anyone in your company can find the document they need. Or can they? DataSpace UK has systems to add to all your document management systems! Technology doesn’t phase us. We help to streamline storage, archiving and more. We can implement secure management systems that mean those who need to can access documents at that click of a mouse 24 hours a day. We can even scan stored documents so that you can view them online. What this also means is that Data Space can keep your documents secure using safe methods to ensure that only those who have permission to see certain documents have access. We have recently been awarded certification for security compliance BS270001 which ensures our security is compliant to requirements, which in turn is good news for you. We have off-site storage for your archived documents, digital back up systems and digital management systems to help you keep check on what is stored where in your system (EDRM). If you think you need to brush up your document management skills or look at the security of your documents, please get in touch or give us a call on 0800 028 9856. We will have a solution to suit you!